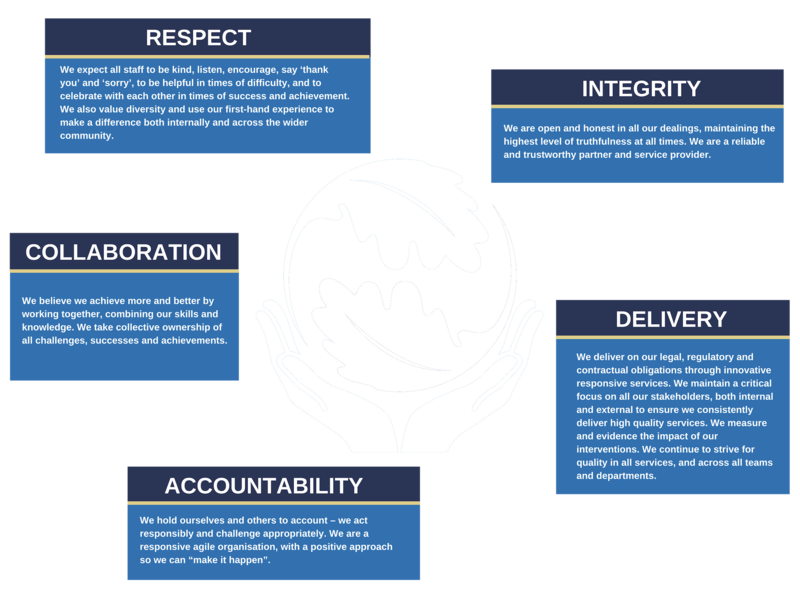 The culture of our organisation is built upon our five values, with behaviours specified against each of the value domains. Our values establish and regulate the quality and character of our organisation. Our values are fundamental to all staff understanding the way business is done in Rossie i.e. the “way we do things around here”. Our values framework empowers all staff to hold each other to account in a respectful, constructive and productive manner. Our values framework has been approved by our Board of Governors and is adhered to by all staff across the organisation.